Mountaineering Scotland believes mountains should be protected from man-made intrusion and remain in as wild and natural a state as possible. For this reason, while we sympathise with the grief and loss that bereaved friends and relatives feel, we believe that permanent memorial artefacts should not be a feature of the mountain landscape. We encourage alternative options and hope to raise awareness of the matter with the aim that more people take proactive action to ensure they do not become the reason for a future memorial. Due to the inherent risks in mountaineering, fatal accidents do occur on mountains and crags, and when a person is killed in a mountaineering accident there can be calls to erect a memorial on that mountain's summit or at the site of the accident. Whilst such a memorial may be seen as part of the grieving process for the mountaineer's family, the memorial will be regarded by the majority of mountaineers that see it as an intrusion on the mountain. We believe that the majority of people who seek their recreation in the mountains go there to enjoy the natural qualities of the area and do not wish to see plaques and other memorials on mountainsides and summits. When this topic featured on Radio 4, the majority opinion was overwhelmingly against memorials on mountains and in favour of protecting mountains from such intrusive structures. This may be stating the obvious, but if you have your own personal views about memorials on mountains you can make these views known whilst you are alive, but you will be unable to take part in the debate after your death. There is no saying what others might think you would have wanted. If you wish your ashes to be scattered in a certain place and if you do not want a memorial in your memory then make sure a number of people know your views and consider including them in your will. Friends and relatives will often want to �give something back� to the mountains that gave so much pleasure during someone's lifetime. A good example would be to support footpath repair work via the various charitable trusts that fund such work. 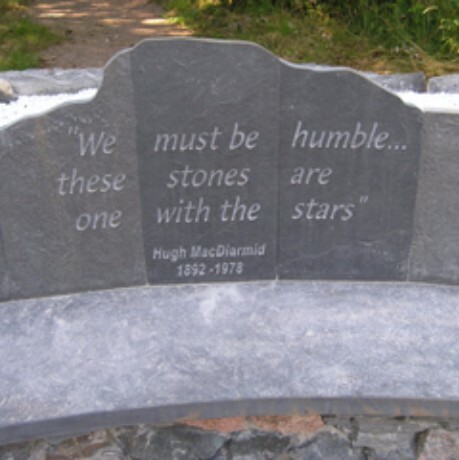 A contribution to a well-managed path would be a fitting memorial to a person who loved the mountains and wished to see our finest landscapes protected. 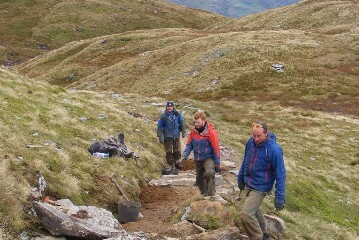 Charities like the National Trust for Scotland, John Muir Trust and other organisations involved in the care of mountain landscapes and footpaths all accept donations. 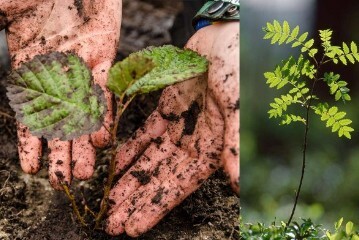 Many people regard the planting of a tree to be the most acceptable form of remembering someone, because if it is done properly, the tree continues to grow and it adds more to its surrounding landscape as time goes by. Those who have planted a tree feel that it has been a rewarding form of remembrance. A number of overseas countries encourage the development of memorial gardens at the base of popular mountains, so that there is a special place in the valley for the placing of various forms of memorial. This concept is currently being considered in some of our mountain areas. For the many relatives who make an annual pilgrimage to their loved ones' memorial the task of climbing to the top of a mountain can become more and more difficult with the passing years. A journey to a section of path, a memorial garden or tree at the foot of a mountain, on the other hand, will be far easier when those relatives are in their seventies and eighties. 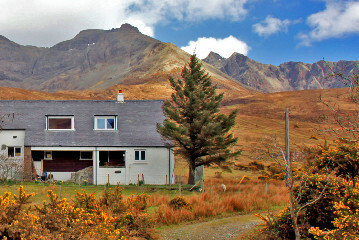 A significant number of mountaineering huts in Scotland are dedicated as memorials. Anyone with a considerable amount of money to bequeath towards the building of a hut, or purchase of a property suitable for conversion, would have the hut named after them. Whilst there can be pressure to commemorate mountaineers who have died, there is also a great deal of pressure from non-mountaineers to place memorials on mountains. This is a difficult issue because the non-mountaineer is likely to perceive the mountaineers' attitude against memorials as elitist and unwelcoming, but if our cultural approach to memorials is that they do not belong on mountains, then there should be a presumption against mountain memorials, whether they are to a mountaineer who died on that mountain or some other individual who may have had only a symbolic connection with the mountain. It should be remembered that all land is owned by an individual or organisation, and landowners are within their rights to remove any object that is left on their land. Many private, public and not for profit charitable landowners have a tendency to remove memorials in order to prevent a proliferation of such artefacts. On the rare occasions when people consult owners before placing a memorial, a number of owners attempt to persuade the grieving friends and relatives to make a more appropriate form of remembrance like contributing to path work or planting a tree. More and more mountaineers are requesting in their wills that they would like their ashes scattered on the summit of their favourite mountain when they die, and from an ecological point of view this has a number of environmental advantages, but there are nevertheless a few issues to consider. 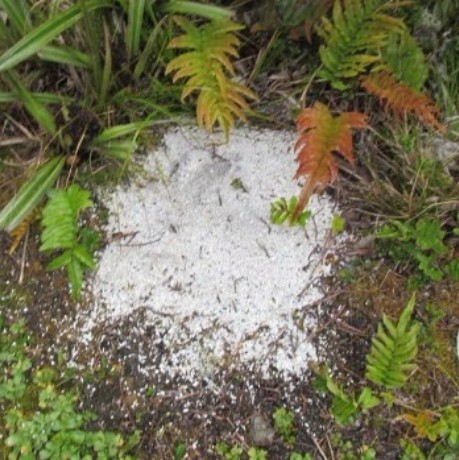 On a number of very popular mountain summits that are used repeatedly for the scattering of ashes one of the significant effects that has been observed is stimulation of plant growth that can be attributed to both phosphate enrichment and changes in pH [acidity/alkalinity]. So, when considering your chosen spot for the disposal of your own ashes it might be worth avoiding the really iconic mountain tops, by opting instead for a corrie, a certain point along a ridge or beside a particular tree on the lower slopes of a mountain. It is worth bearing in mind, however, that ashes do not have to be scattered. Their chemical effect on the ecology of the surrounding area is reduced if they are buried rather than scattered.